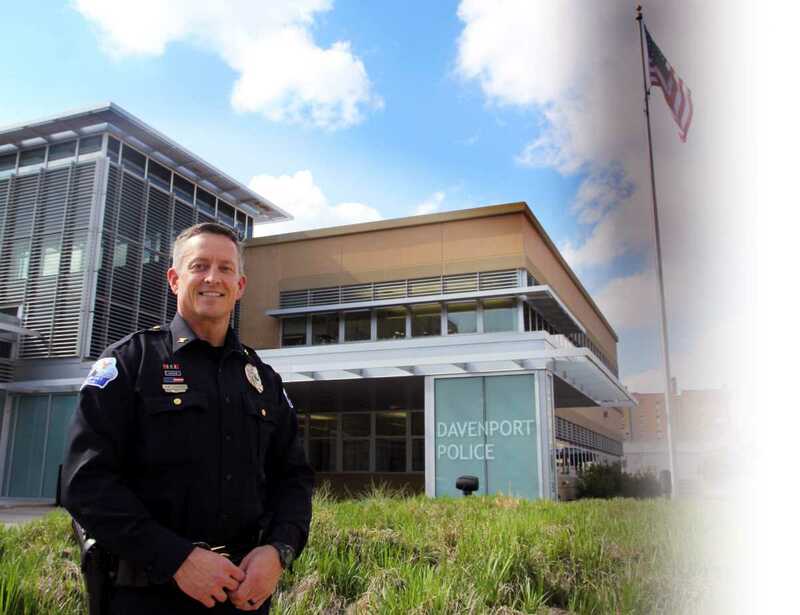 "As the Chief of Police, I want to welcome everyone to the Davenport Police Department website. The Davenport Police Department is one of the finest law enforcement agencies in America. We are the only nationally accredited (CALEA) police department in the Quad-Cities, and the largest accredited police department in Iowa. It is my desire that this website be a useful place for visitors seeking information on the various programs and services that our Police Department provides. It is our objective that this site be user-friendly. Enjoy the site and welcome!" The mission of the Davenport Police Department is to protect and care for the well-being of our community while providing excellence in police service. The Davenport Police Department is committed to the values of integrity, fairness, competency, and professionalism through positive and meaningful police-citizen interactions and partnerships; these interactions and partnerships preserve the peace and safety of the community, making Davenport a desirable place to live. The Davenport Police Department has an authorized strength of 163 sworn employees and 24 civilian employees. The Department handles over 82,000 calls for service annually and has an advanced computer dispatch system, integrated in-car computers and an enhanced 911 service, supported by an outstanding, professional and dedicated group of men and women. As you view our web site, please keep in mind the Davenport Police Department also has a number of excellent career opportunities in the field of law enforcement and public safety. If you are interested in joining a professional, hardworking service organization that can provide you with contemporary challenges in a law enforcement career, please see our Career Opportunities. We look forward to hearing from you.